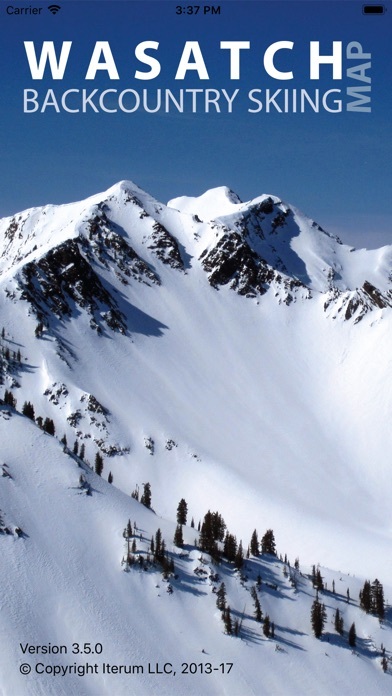 The Wasatch Backcountry Skiing Map is the iOS version of the popular paper map and website (visit WBSkiing.com). 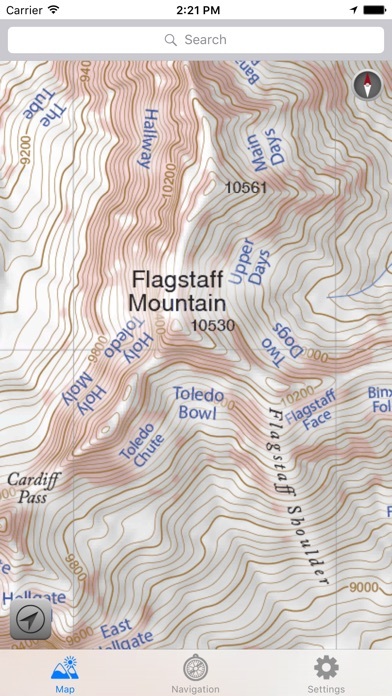 As with the other platforms, the iOS map includes an index to more than 1,000 backcountry locations in Utah’s Central Wasatch mountains. 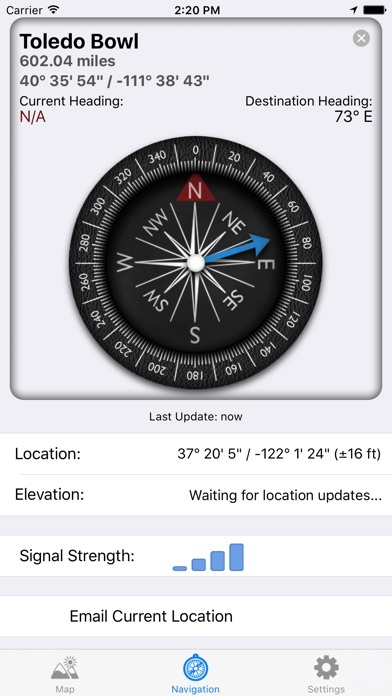 It is the must-have app for Utah hikers and backcountry travelers. With a familiar map-app interface, the Wasatch Backcountry Skiing Map accesses your device’s GPS to display your current location on a high-resolution topo map. And with only a few taps, the “destination arrow” on the integrated compass will point to your desired backcountry ski location. 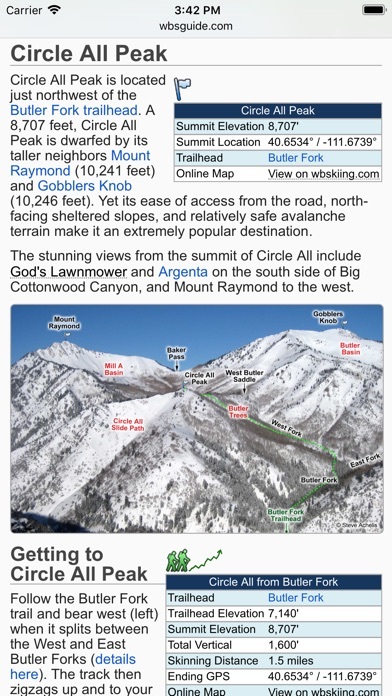 And with a single tap, hundreds of the locations will open the Wasatch Backcountry Skiing Guide website where you can view photographs and detailed information about the location. The app also displays your current elevation and lat/long, and will send your current location via email. 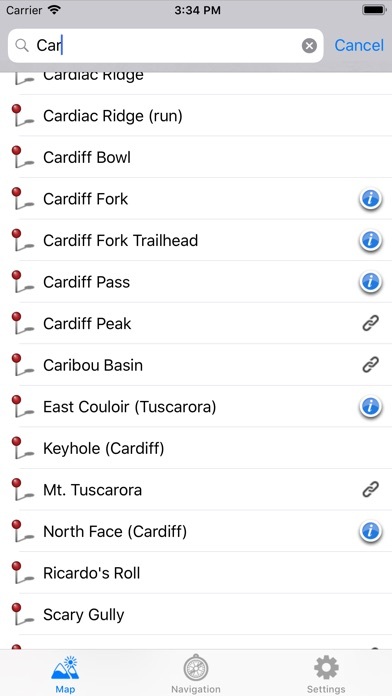 And with a tap, you can display detailed information on more than 200 of the locations including skiing difficulty, skinning distance, vertical climb, parking considerations, and more. (Contrary to a posted review, you don't need cell service to use this app--you don't even need a contract with a cell service provider.) NOTICES: When navigating, the “destination arrow” points directly to the destination without regard to hazards such as avalanche paths, cliffs, and rock fall. It is your responsibility to travel in the backcountry safely.